White is all the rage internationally when it comes to footwear. Luxury brands such as Celine are making waves with white pairs of shoes, and we spotted this trend at Borjan. 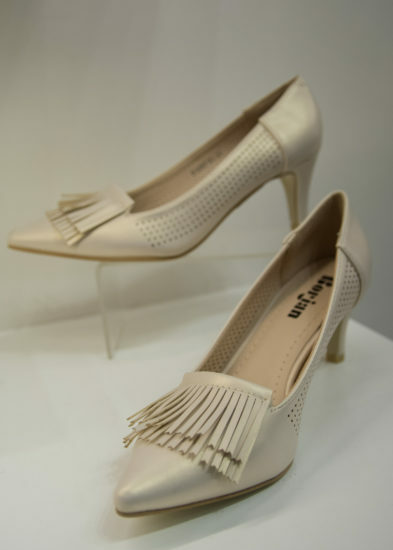 Coupled with another hot trend, fringes and a mid heel this shoe is a killer at Rs. 1250.